Please visit me there. Thank you. The Leo Back Institute in New York is showing a new exhibit about Jewish Life in Munich, 1806-present, until July 31, 2013. “Beer Art and Revolution” sheds a light on Jewish life in Bavaria’s capital. The German Consulate General is showing until July 18 a photo exhibit by Julian Voloj — Only in New York, depicting New York’s vibrant Jewish community. “Since moving to New York in 2003, the exploration of Jewish identity has become a leitmotif in the work of photographer Julian Voloj. Growing up in Muenster, Germany, in a small Jewish community, he became interested in Jewish diaspora culture around the world. Fascinated by the vibrancy and diversity of New York’s Jewish communities, he started to explore what it means to be Jewish. His photographs are an intimate portrait of a variety of Jewish communities, former Jewish neighborhoods, and expressions of identity. From Hasidic Jews in Brooklyn and their struggle between tradition and modernity, to African-Americans who adopted Jewish rituals to cope with the legacy of slavery, his photographs open the doors to unknown worlds. 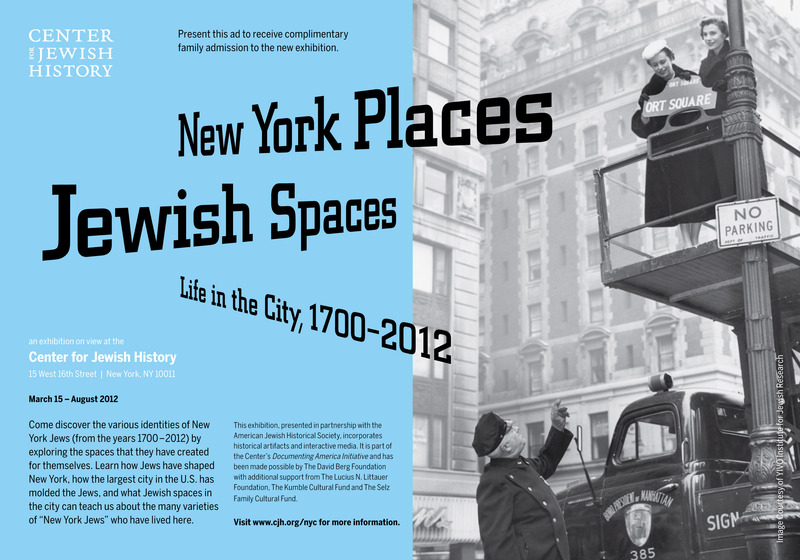 If you are interested in learning more about Jewish New York, visit J-Walks: Retracing Jewish History in New York City. The Museum is asking for your help to identify displaced children and document what became of these young Holocaust survivors after the war. On the museum’s website, you can browse the names of the children or view their pictures. 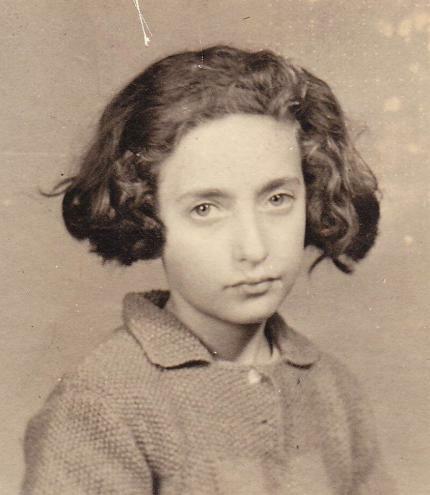 Please contact the museum at RememberMe@ushmm.org or click on “I remember this child!” button near his/her individual photo if you recognize a child or see yourself in the pictures. The images for this project have been provided by the United States Holocaust Memorial Museum, The Jacob Rader Marcus Center of the American Jewish Archives and The Museum of Jewish Heritage, A Living Memorial to the Holocaust. The photo above shows Berthe Moscowicz, who now goes by the name Bracha Aris and lives in Israel. She came across her own picture in the photo gallery and identified herself. A new Jewish newspaper, the Jewish Voice From Germany, will be launched in Germany beginning next year. The English-language quarterly will be published in Berlin starting in January 2012 by novelist and political commentator Rafael Seligmann with an initial circulation of 25,000. If you wish to subscribe to the publication, please send your address to: info@jewish-voice-from-germany.de. Here is a query from a reader. Please reply to her directly or comment to this post. My name is Charla R. Malamed. I am a doctoral student at Derner Institute, at Adelphi University on Long Island, New York. I am currently conducting a research project, in which I am interested in learning about the transmission of Holocaust WWII experience across the generations, and about how that experience influences the individual’s relationships with the self and with others, specifically with a German/Jewish individual (German non-Jewish, if the individual is Jewish; Jewish, if the individual is German non-Jewish). I want to understand how cultural and familial memory of the Holocaust influences the development of the self and the ways in which an individual is able to relate to the ‘other;’ that is, how has the Holocaust affected Jewish/German non-Jewish relations today, in the 3rd generation? (2) have had, or currently have, a meaningful and ongoing relationship with a German non-Jewish individual (if you are Jewish) or a Jewish individual (if you are German and non-Jewish). Anyone who is interested will be asked to participate in a 75-90 minute interview, as well as complete a pencil-and-paper questionnaire. All the information resulting from this research will be anonymous.